Continuing our topic of soundproofing started with this post here, we would like now to talk about the project we finished a couple of weeks ago. We were renovating a townhouse built back in the 70’s for new owners. What we faced there was something quite common for Toronto old houses built using plaster. 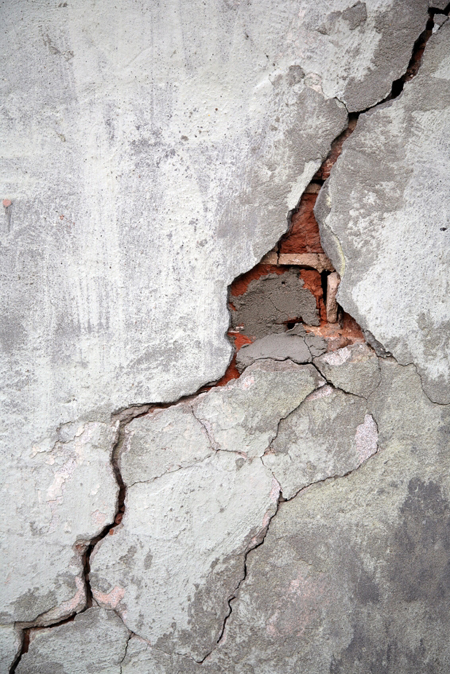 As we know although being a great material with pretty good sound and thermal insulating properties, it tends to age with unsightly cracks and crumbles. And once it starts to crack the problem becomes literally interminable – door slammed, heavy truck passed by – all results in more cracks. 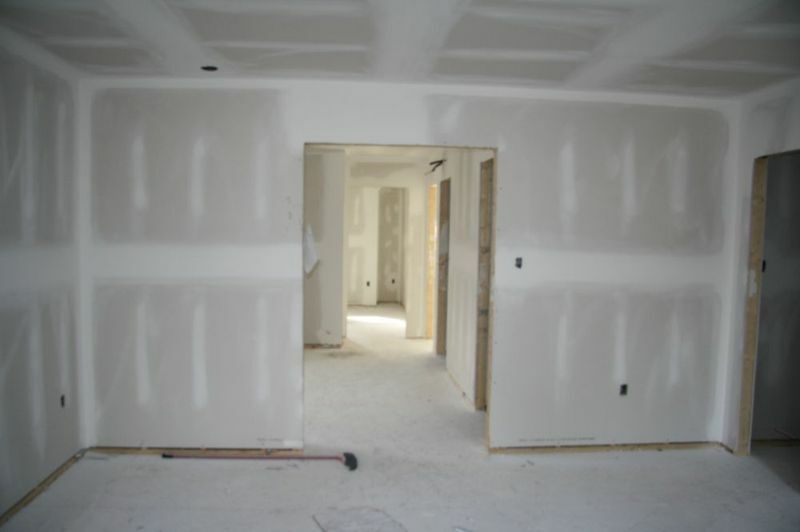 Thus repairing and patching these walls makes no sense and removing the existing plaster and replacing it with new is a very pricey option accompanied by the difficulty of finding a right contractor willing to do the job. Having said that, what are the options that house owners not willing to compromise on sound insulation have when deciding to embark on the renovating project? You can definitely build a layer of drywall over the plaster. This way you keep the benefits of the plaster and get nice smooth walls. It’s a good option if you have some extra space you can sacrifice by loosing couple of inches to drywall. Also building drywall over plaster changes the relief between the wall and the window and door trim, and skirting boards. This will result in an unattractive change in proportion. Another difficulty is when you have a stairwell adjacent to your neighbors’ wall. 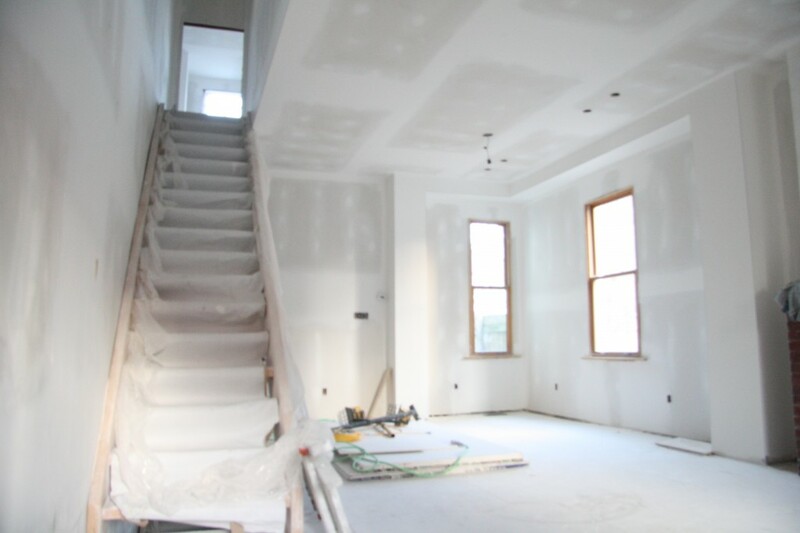 In this case you cannot afford to lose any of the stairwell’s width to an extra layer of drywall as you cannot make your stairs narrower than 36″ required by the construction code. Simple and logical replacement of the old plaster with regular drywall is not a solution either as in this case you will be losing all of the so much needed sound proofing. That was exactly the case we had with our recent project when we were required to remove the old plaster from the stairwell wall and build the wall with excellent sound insulating properties instead as the owners were concerned about the noise coming from 4 guys in their 20’s living next door. Therefore they asked us for the maximum noise reduction. What did we do? For this project we decided to go the tried and tested route – remove the plaster and then install one layer of QuietRock. QuietRock is a sound damped panel that offers outstanding sound proofing and sound reduction performance. We have used this product in a number of projects and got very encouraging results. We especially recommend it in the instances when the space and time are very sensitive factors. We used QuietRock ES type X – an easy to install 5/8″ panel with acoustic rating of up to STC 55 and one hour fire rating – it ideally fitted our requirements. Significant sound reduction cannot be achieved by using only one product, it is always a combination of methods that provides positive results. Therefore we decided to back up the QuietRock with Green Glue – high performance damping compound. Normally we would also suggest decoupling the wall to stop the noise from traveling but this time it was impossible to do because our owners’ and neighbours’ staircases shared the same wall. To compensate for that we used two layers of Green Glue (2 tubes per 4’x8′ sheet) instead of regular one layer. 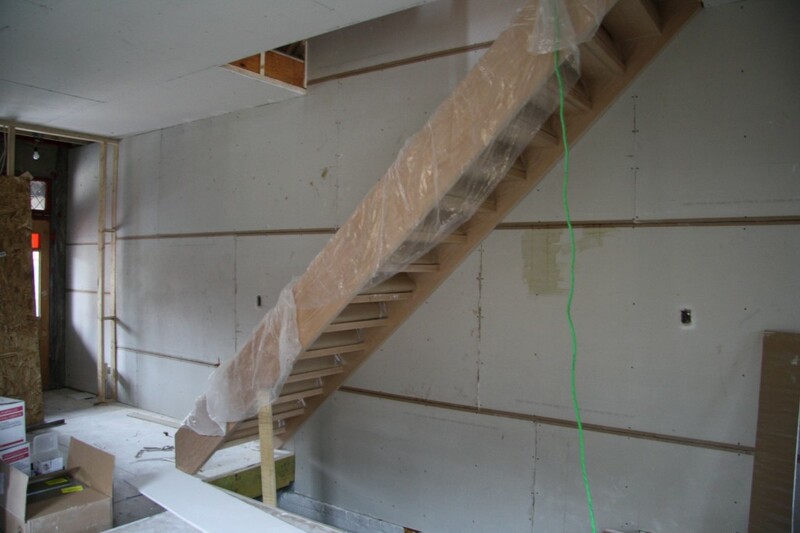 This approach allowed us to keep the staircase space and save on labour and time. The result we got in the end was not only comparable to the sound reducing capabilities of the plaster but even excedeed it. If you are in the process of building, remodeling or renovating your house and consider increasing its value by something the price tag cannot put on – Quiet – contact us today for a quote and sound proofing solutions.